Jurassic Park 4, Godzilla and Pirates of the Caribbean 5 to Film in Hawaii? Pacific Business News is reporting that Jurassic Park 4, Godzilla, Pirates of the Caribbean 5 and Cameron Crowe’s new untitled film (AKA “Deep Tiki”) all have plans to film in Hawaii. According to their source, “‘Godzilla’ plans to spend a month filming on Oahu and another month on Kauai, which is also slated to be featured — once again — in the dinosaur thriller ‘Jurassic Park,’ which is on its fourth installment, scheduled to be released next year. “‘Deep Tiki,’ a film by Cameron Crowe, the same director who brought us ‘Elizabethtown’ and “We Bought A Zoo,” features stars such as Bradley Cooper and Emma Stone and is scheduled to be released next year. 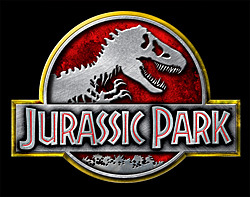 Godzilla is coming to theaters on May 16, 2014, Jurassic Park 4 is scheduled for June 13, 2014, and Pirates of the Caribbean 5 will hit on July 10, 2015. The Cameron Crowe film, which is set also set to star Rachel McAdams, does not have a release date yet.